rushazzled has no other items for sale. 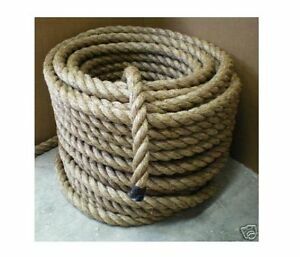 Manila Rope by the coil. Manila Rope by the foot. Sales tax may apply when shipping to: IA*, KS*(9.6%), MN*, WA*. PayPal accepted from United States customers only. Great item and quick shipping. Thank you! Just exactly what we ordered. Great buying experience. Fast delivery, a pleasure to buy from, Thanks. Nice, fantastic experience, wonderful to deal with!